Activities in the Bay of Islands – your holiday, your way. There are a wide range of activities in the Bay of Islands, and the Sanctuary is your ideal base from which to explore. Whether you rest and relax in the retreat or head out and about to explore the stunning Bay of Islands, you’ll find the ideal activities for your Northland escape. At the Sanctuary you are encouraged to spend your time as you wish and how you feel… How it best serves you. This is your holiday: take your time and enjoy every second! Game and recreational fishing are readily available as is sailing, power-boating, kayaking, snorkeling, parasailing and scuba-diving. 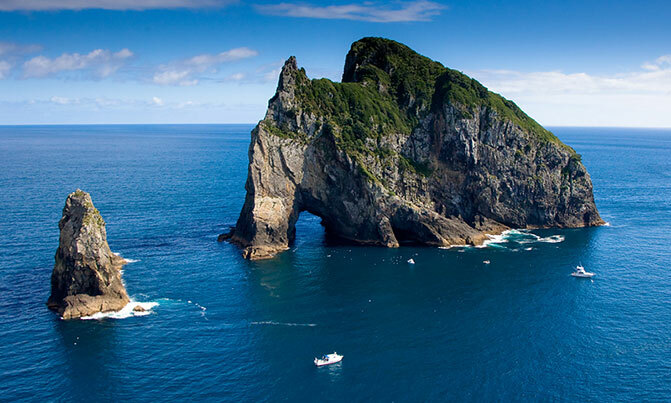 The famous Bay of Islands ‘Cream Trip” and the Hole-in-the-Rock experience are all available from Paihia as is dolphin watching. On occasions at certain times of the year Orca can be seen too. 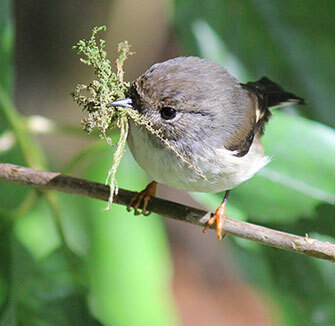 From Rainbow Falls and Puketi Rainforest in Kerikeri to the famous Ninety Mile Beach north of Kaitaia and on to Cape Reinga and the lighthouse, where the Pacific Ocean and the Tasman Sea join aquatic hands… there is a wealth of land to explore. Maori believe the soul departs from this northern-most point in New Zealand for the onward spiritual journey (Spirits Bay). 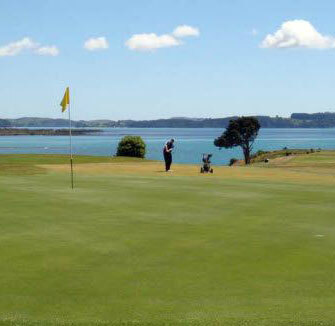 The Far North is renowned for golf courses from Waitangi (which many suggest offers one of the most beautiful vistas in the world), to the Bay of Islands club in Kerikeri or to Kauri Cliffs just 20 minutes’ drive north. Perhaps explore the stunningly beautiful Whangaroa Harbour, north of Kaeo, and climb the highest point of St Paul’s. Or, for the more adventurous, a sky dive is available from Kerikeri airport as is a scenic flight to the Cape. Half an hour’s drive from Kerikeri is Doubtless Bay, named by Captain Cook who reputedly suggested ‘Doubtless a bay.” It is indeed. And it is here the self-styled world-famous’ Mangonui fish and chip shop and eatery overlooks the bay from a restaurant built on poles resting on the ocean floor. The popular Northland Wine Trail will take in local vineyards producing medal-winning wines. Try the Fat Pig, the Bent Duck, Morepork or Kapiro vineyards. Each name reveals as much about the vineyard as the owners! Most have cellar doors and two – Marsden Estate and Ake Ake– have superior restaurants on site. Being on holiday can be exhausting. Often guests visiting have either just flown half way across the world and are jet lagged or are at the end of their vacation and just want some time out to relax, renew and revive. Enjoy a selection of therapists, available by appointment, who are trained in Mirimiri massage. There is ample opportunity to sit on the beach at Paihia or unwind in the Sanctuary’s infinity pool while sipping one of those intriguingly-named wines, which the Sanctuary makes a point of offering at table, too. Appointments are necessary. Please advise at time of booking if you would like information on these services. Mirimiri massage treatments are available in-house upon request. Mirimiri massage is a traditional Maori manipulation of superficial and deeper layers of muscle and connective tissue using various techniques, providing relief and relaxation to the mind and body. Regular massage may produce a meditative state or heightened awareness of living in the present moment, can provide emotional and spiritual balance, bringing with it true relaxation and peace. Yoga classes are available at studios in nearby Opua, Paihia and Kerikeri. Classes can be organised on request.